All Posts Tagged With: "bags"
All too often, fashionistas are faced with an age-old dilemma: go practical, or stay stylish. Thanks to Bath & Body Works and LeSportsac, this winter you don’t have to choose. 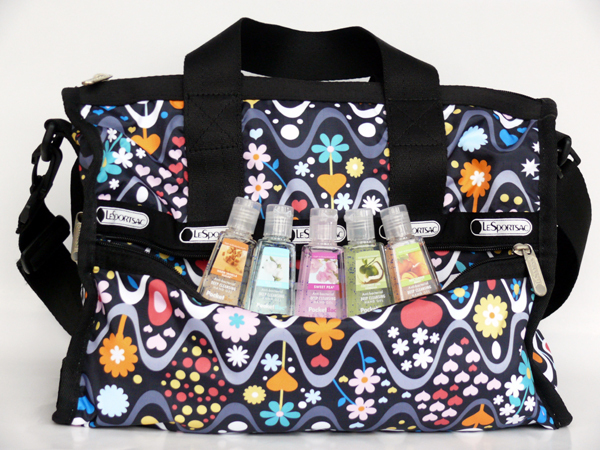 For a limited time, LeSportsac is offering its iconic collection of bags with Bath & Body Works PocketBac waterless hand gel, providing a stylish way to keep hands healthy. This season, trade in the typical clinical hand sanitizer for Bath & Body Works’ equally effective alternatives in fashion-forward scents. Paired with matching LeSportsac bags, the colorful formulas kill 99.9% of germs, offering clinical strength without the clinical scent.